During the most active years, from 2008 to 2012, armed pirates were attacking hundreds of ships per year, successfully pirating more than 130 vessels and taking their crews hostage – some of whom were held captive for years in the most abominable conditions imaginable. Fortunately, a combination of international naval presence in the region and private armed security teams contracted by the ship owners was successful in suppressing the scourge of piracy in Horn of Africa region. And while a spate of recent incidents bearing the characteristics of Somali piracy during its peak have been a cause for alarm, Somali piracy is far from the point it was at over a half-decade ago. 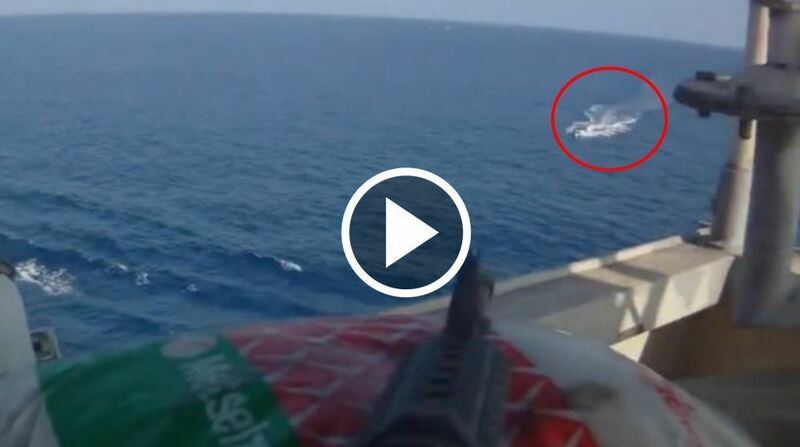 So when a video posted last week by a supposedly pro-seafarer page showing a shipboard security team opening fire on an incoming pirate skiff went viral, we thought it was necessary to provide some context and/or details – since absolutely none was given. The video in question is titled “Somali Pirates VS Ship’s Private Security Guards” and since it was posted last Thursday it has racked up over 12 million views, easily reaching YouTube’s top trending list. It has also prompted some publishers to re-post as if this just happened. The problem is, the video is now more five years old. According to the Bloomberg report, the video first appeared at a shipping conference in December 2011 and was filmed by a team member from the Norfolk, Virginia-based private security firm Trident Group while operating aboard the MV Avocet, a 53,462 dwt bulk carrier owned by New York-based Eagle Bulk Shipping Inc. In the Bloomberg article, Thomas Rothrauff, president of Trident Group, defended the team’s actions, saying their operating procedures were legal and in “full compliance with rules for use of force.” In the report, Rothrauff even noted that at least some of the boat’s occupants were probably killed or injured, although there is no way to know for sure. “We’re not in the business of counting injuries,” Rothrauff told Bloomberg at the time. Rothrauff added that the attack shown in the video was the second in 72-hours launched by pirates operating from a nearby mothership, and also said that the pirates in the video were returning fire, although it is somewhat hard to tell from the video. The report also noted that all of Trident Group’s operations are shot on video, and the video is technically owned by the hiring company, which in this case is Eagle Bulk Shipping Inc.